WONDERING WHEN IT'S TIME TO GET YOUR WISDOM TEETH OUT? OR, WHY YOU SHOULD EVEN HAVE THEM REMOVED IN THE FIRST PLACE? LET’S GO OVER A FEW REASONS AND SIGNS THAT IT’S TIME TO GET THOSE THIRD MOLARS OUT. One reason to have your wisdom teeth removed - to prevent issues from even arising. Getting wisdom teeth, or third molars, out before the become a “problem” can save you from a slew of issues down the road. Did you know that your wisdom teeth can cause damage to surrounding teeth? That extra set of molars can push your other teeth around - causing mouth pain and bite problems. Impacted wisdom teeth can cause problems with crowding of other teeth and even make treatment to straighten other teeth necessary. You do not want your wisdom teeth to crowd your mouth and throw off the alignment of your smile. Complications from wisdom teeth can lead to sinus issues like pain, pressure and congestion. Tissues around your wisdom teeth can swell and may be hard to clean. Swollen gums can create pockets between teeth that help bacteria grow and cavities form. If you feel like you have been experiencing any of these issues, or want to prevent them before they start, schedule a consultation with Dr. Sharma to evaluate your wisdom teeth. Maybe you’ve wondered, who is Dr. Sharma? What is it he does exactly? Why should I go to Sharma Oral Surgery? Well, let me, Dr. Priveer Sharma, tell you a bit about ourselves. I have been a practicing oral surgeon for 22 years now, 15 of those years being right here in Charlotte. My wife and I are the proud parents of our daughter Divya, who is playing tennis this year at Washington University, and our son Daiven, who is still in high school also playing tennis. We are proud to be a part of the South Charlotte community and call this neighborhood home. I am a graduate of the University of Florida for both my undergraduate degree as well as my dental school education. After that, I completed surgical training at the Washington Hospital Center and Children's Medical Center in Washington DC. I pride myself on being a board certified Oral & Maxillofacial Surgeon and a diplomat of the Association of Oral & Maxillofacial Surgeons. I am also a member of the Charlotte Dental Society and the North Carolina Society of Oral & Maxillofacial Surgeons. Additionally, I am an advocate for continuous learning. I am the director of the Outer Loop Education Study Club, an affiliate of the Seattle Study Club, which actively provides national, regional, and local continuing education to the dental community of Charlotte. An oral surgeon is a dental specialist – meaning they took an added four to six years of training after dental school. An oral surgeon focuses on performing dental surgical procedures. 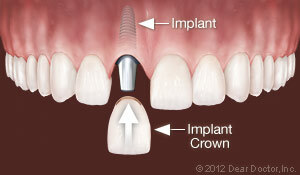 These procedures include simple and complicated teeth extractions (including wisdom teeth), dental implant placement, repair of broken bones in the jaws and face, removal of cysts and tumors of the jaws, soft tissue biopsies, jaw realignment surgery to correct bite discrepancies, and cosmetic and TMJ surgeries. Oral surgeons routinely perform procedures like those listed above. They are also trained and exposed to a variety of complications that may arise from performing these dental surgical procedures. Typically, your family dentist will refer you to an oral surgeon when they see one of these conditions arise. However, it is important you see a surgeon you feel like you can trust. At Sharma Oral Surgery, we are committed to a singular promise of caring for you by supporting an outstanding facility with highly trained individuals. Every member of our team is dedicated to you understanding every step of your care while seamlessly coordinating your treatment. You will see the motto “Caring is Our Reputation” on some of our advertisements as well as our website – but it is so much more than a motto. We are committed to caring for patients in the safest possible manner with the highest surgical standards. We are so happy to be a part of this community and strive every day to continue to not only provide the care you deserve, but to be an exceptional neighbor. Big data is a very helpful tool in healthcare. It allows patients and doctors to evaluate treatment, treatment options, and the outcomes. Big data allows everyone to look beyond themselves and their specific situation. From real-time results and instant access to your doctor - big data has made getting healthcare information as instant as sending out a tweet. This has also played a role in how new findings in the health and dental field are shared with the public. With many journals now going digital, patients have instant access to hundreds of medical resources right at their fingertips. For example, Orthodontic care has become more and more common in the United States. The continued influence of not removing teeth and creating big, broad smiles when teeth are crowded or crooked has an effect on the last teeth to grow in, the second and third molars. A large, multi-institutional meta-analysis evaluated this situation and found that 87 percent of patients that did not have teeth removed as part of their orthodontic treatment did not have enough space for their wisdom teeth to fit in their mouth at the age of 18 years old and should be evaluated to understand what the potential impact this might have in their mouth. Big data can make information available so that all patients can understand the impact of decisions that they make several years prior to a problem occurring - like not having enough room for your wisdom teeth. There are several benefits to big data being implemented in the healthcare field. This is probably the most widespread use of big data in medicine. Each patient has their own record, now in many cases digitally, that allow doctors to see all their information in one place. Every record is comprised of one modifiable file, which means that doctors can implement changes over time with no paperwork and no danger of data replication. These files are also able to be shared between medical professionals for when patients need to be referred elsewhere. It makes the transition quick an easy. Several patients already use or have an interest in smart devices that track their movement, heart rate, sleeping habits, etc. Tracking this data can help identify potential health risks the patient may not have been aware of before. With instant access to technology right at our fingertips, medical advice and even consultations are available right from our homes. Either through video conferencing, phone calls, or even text messages – doctors are able to consult, monitor and educate their patients without a formal office visit. While these are just a few of the examples of how big data is being utilized in the healthcare field, we are seeing new things each and every day that will only improve the care we give to our patients. When wisdom teeth removal gets brought up, what generally comes to mind? Getting your wisdom teeth taken out for many young adults has become the norm. Wisdom teeth, also known as the third molars develop between 17 and 25 years old. Read a few fun key pieces of information about wisdom teeth. Wisdom teeth get their nickname because of the time they develop. 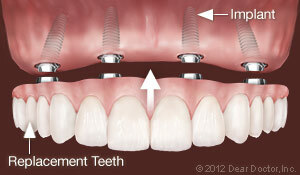 Today we don't require wisdom teeth in order to survive, which is why we are able to get them removed. Did you know that in 35% of today’s population wisdom teeth don't even appear? There is a lot of history behind wisdom teeth. In-fact it's believed by biological anthropologists that the duty of wisdom teeth was to grind down high fiber foods such as roots, leaves, nuts and meats that were regularly consumed by prehistoric humans as a part of their diet. Is It a Must to Get Wisdom Teeth Removed? Wisdom teeth live embedded in your gums. 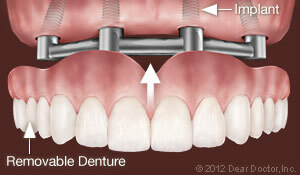 If teeth are unable to emerge properly, they'll eventually be impacted into the jaw. This could result in multiple things like infection, affected bone support, or even the ability for a cyst to form, which is harmful to the roots of your other teeth. Partially erupted wisdom teeth will make it more difficult to keep the tooth and surrounding teeth properly clean. This can allow bacteria to become trapped, which can cause an oral infection or gum disease. Although it's recommended to get your wisdom teeth removed, if your wisdom teeth are healthy, fully erupted, properly cleaned to continue great oral hygiene and are in the correct position, it's okay to live with your wisdom teeth. When it's time to get your wisdom teeth removed contact Sharma Oral Surgery located in South Charlotte. Call 704.541.6070 and consult with a professional today; one of our skilled team members will be happy to answer any questions.